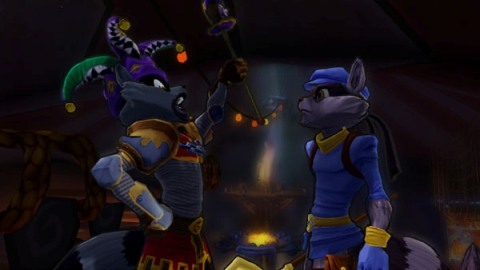 Sly Cooper is a popular and fun series that has a new title, Thieves in Time. The story based on white-collar thieves who finally comes in a version for Playstation 3 and PS Vita. The game uses classic elements of the genre action and adventure combined with the platforms. Although we do not know the history of this franchise, in the beginning we have a kind of presentation that puts us in the context, so although we never played we start with the most relevant information and address the game smoothly. Sly is accompanied by characters such as Bentley or Murray and it won’t cost us too much empathize with them thanks to his sense of humor. The game will take us through five different scenarios and in them we will face major and secondary missions, in which we have to discover some mysteries and get rewards that will help us to move forward. Perhaps it would have been more desirable missions of difficulty, for soon discover that we can achieve the goals almost without effort, which eventually tired of the lack of news or surprises. It is also limited the number of objects that we collect. The best is undoubtedly the visual aspect of the game, which opts for a very striking aesthetics cartoon, especially for younger players. The game is entertaining if our aspirations are limited to pass an entertained without demanding too much. For older players, it loose by low difficulty.